Masala chai is a spicy black tea blend that has roots in South Asia but has gained a strong following in the West. The spices added to this tea make a deliciously flavored and hearty drink. Chai uses spices that are traditional to India, where this style of tea originates. 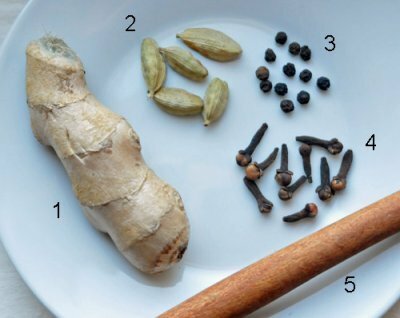 The exact spices vary depending on the chai (both in India and for common tea brands), but often include cinnamon, clove, cardamom, black pepper, and ginger. A robust black tea like Assam goes best with the spices because it holds up well to the extra flavor. The tea is usually consumed with milk and a sweetener. The word "chai" actually means tea in Hindi (and some other languages). Masala chai refers to tea blended with spices. In the West, we've shortened the term so that "chai" alone has come to mean spiced tea. Ginger - Raw ginger root lives in the produce section of the grocery store. Just cut off a chunk and slice it thin when making masala chai. Cardamom - Comes in both whole pods (which contain seeds) and ground. It's a little tricky to find but worth it. You can find cardamom at specialty stores or buy it online. Peppercorn - Where ground pepper comes from! There's a good chance you have some in your cabinet. Otherwise it's cheap at the store. Clove - A small dried flower bud that looks funny and is easy to find in the grocery store. Cinnamon - I use it in stick form. For many, it's already a kitchen staple. 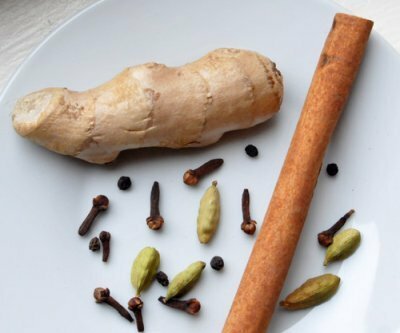 These spices can be used in whole or ground form to make chai. Whole spices are supposed to retain their flavor better because they don't dry out like ground spices. From a practical standpoint, whole spices strain off more easily and keep longer. Use what works best for you! Enjoying chai can be as simple as steeping chai tea bags or as complex as choosing and simmering your own spices. It's easy to make masala chai from scratch. There is no right or wrong way to "spice up" your tea (even in India it varies), so feel free to use the spices and quantities of spices that appeal to your taste. 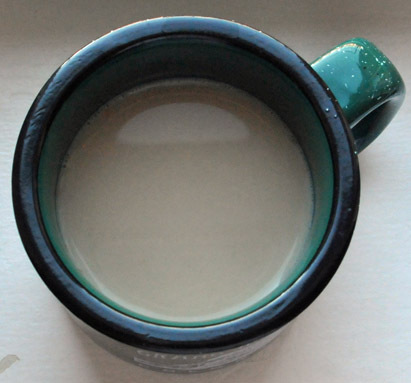 For starters, check out our Chai Tea Recipe. How Do You Take Your Chai? In India, chai is customarily made by heating milk, water, loose leaf tea, and spices all together. The tea and spices are strained off before serving. Usually a sweetener like sugar or syrup is added. Drinking chai with milk and sugar is a combination that has become popular around the world, probably because the additives mellow out the tea and spices so nicely. However, taking your chai plain or with just sugar is fine too! You don't have to make your own. These three tasty choices give you options for chai in three different forms: loose leaf mix, tea bag, and powder mix. 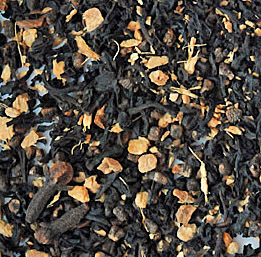 Adagio takes out most of the work with their loose leaf chai blends that have the tea and spices already blended together. 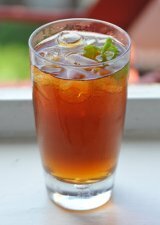 Loose leaf chais are more convenient that making your own but a step up from tea bags. They're also highly attractive in the dry form. Masala Chai is the classic version, with the most familiar mix of Indian spices: cardamom, cinnamon, and ginger. For something different, Adagio Teas has a variety of interesting chais to choose from. Adagio's Chai Sampler is a low commitment way to try four different chais. Chai comes in a tea bag too! Steep for five minutes. Then drink it plain or add milk and a sweetener. Chai powder mixes are the ultimate in tasty chai without any work. Just add hot water and enjoy a perfect, sweet, creamy chai every time! Don't miss our Big Train Chai Review!